How to get songs onto popular Spotify playlists like New Music Friday and RapCaviar is a hot topic for labels in 2017. But it seems that they’re all being outperformed in terms of streams by a playlist that can’t be pitched to: the algorithmic Release Radar. That’s according to Bryan Johnson, director of artists and management at Spotify UK, who was speaking on a Developing New Artists in the Digital Age panel at the BIME conference in Bilbao today. 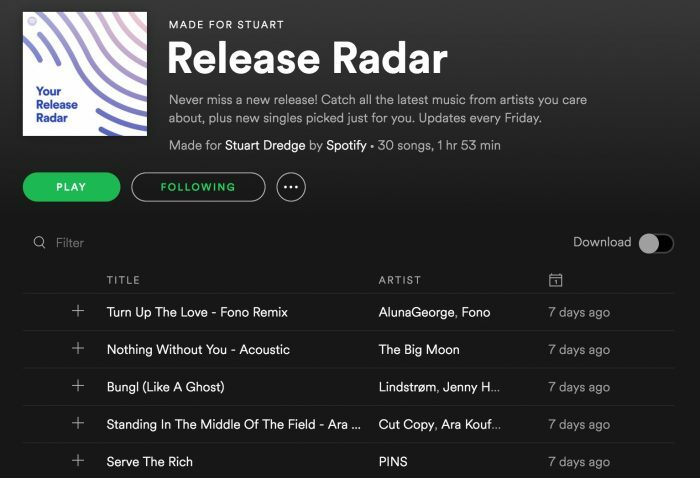 Release Radar launched in August 2016 as a companion to Discover Weekly. It’s a customised playlist for each Spotify user, updated every Friday with new releases from artists that they have listened to and follow on the streaming service. Johnson said that Release Radar is one of the key reasons artists should be getting as many fans as possible to follow their profiles on Spotify. 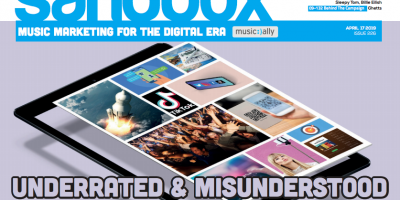 Johnson added that Spotify’s other big algorithmic playlist is also playing an increasingly-important role for labels and artists. “We have built an array of features and tools specifically for artists to drive their listens – Release Radar is one and Discover Weekly is another,” he said. “It is user-facing but it is really benefitting artists. It will normally be in the top 10 playlists in Spotify For Artists” – referring to the service’s analytics breakdown of the top playlists for any given artist. 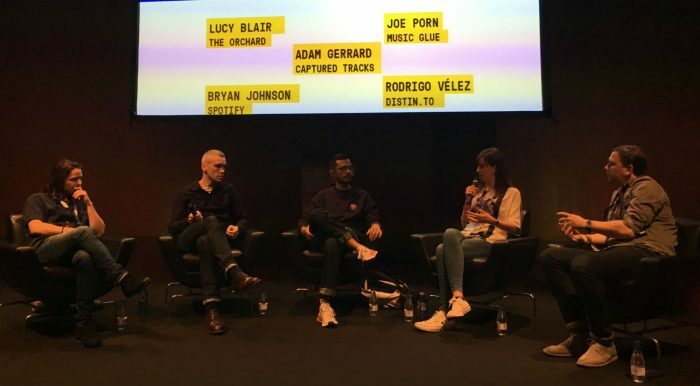 Another theme from the BIME panel was a challenge for artists: that they cannot afford to disappear or long periods of time, for example to record new material, if they want to retain their streaming audience. “Staying away too long is what is hurting a lot of our artists at the moment,” said Adam Gerrard, director of business affairs and finance at independent label Captured Tracks. He suggested that acts stockpile extra tracks during album sessions to drip out as standalone singles or EPs, which can then buy them time to create between album campaigns. Lucy Blair, director of international sales & marketing at The Orchard, offered her views on another topic: the importance for labels of not getting overly focused on pitching for playlist slots. Gerrard ended the panel by warning that music marketing has an obligation not to make promises that it can’t deliver on.